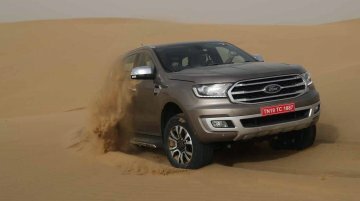 The 2019 Ford Endeavour (facelift), which was launched late last month, is being sold with a range of official accessories that can help the customer to personalise the SUV as per individual.. 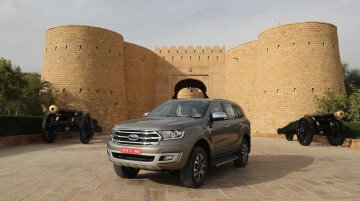 Launched in January 2016, the Ford Endeavour has a monthly sales average of 442 units (between August 2018 - January 2019). 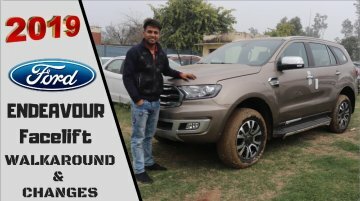 In line with its Thai-spec version, which received a mid-cycle makeover in..
Update: YouTuber Vivek Saini has uploaded a walkaround video of the 2019 Ford Endeavour. 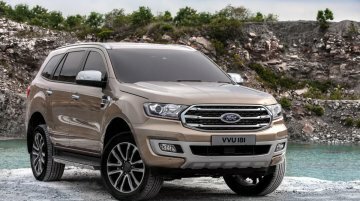 11 February - The 2019 Ford Endeavour has started reaching dealerships ahead of its launch on the 22.. 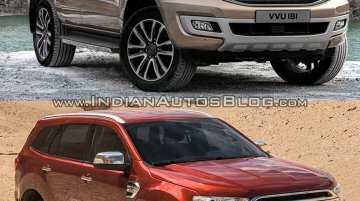 The 2019 Ford Endeavour (2019 Ford Everest) broke covers in May 2018 and is on its way to the Indian car market. The new model has already been spotted undergoing road tests on Indian roads and will.. 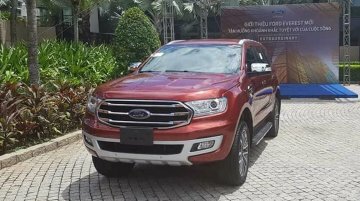 The 2019 Ford Everest (facelift), which was launched in Thailand in July 2018, has been put on display at the ongoing Thai Motor Expo. The refreshed SUV has been on sale in Thailand in a price.. 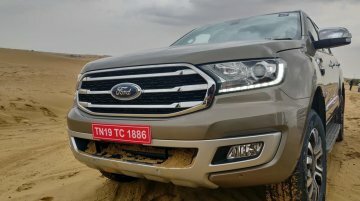 The 2019 Ford Endeavour (2019 Ford Everest) that was introduced in May 2018 has appeared on the Indian roads for the first time. 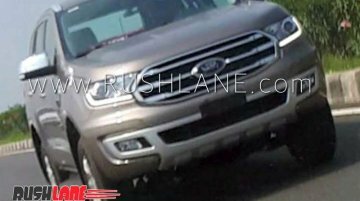 RushLane reader Gokul has shared spy shots of the facelift undergoing..
Just days after its launch in Thailand, the 2019 Ford Everest (2019 Ford Endeavour) has reached Vietnam. 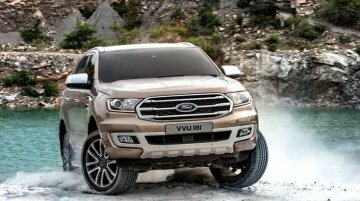 There, it will be sold in five different variants at prices ranging from 850 million dongs..
A performance-oriented Ford Everest Raptor (Ford Endeavour Raptor) is in the news again. 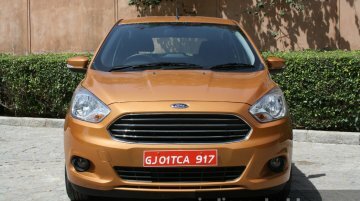 This time, Ford's vice president of product development for Asia Pacific, Trevor Worthington, told CarAdvice.. 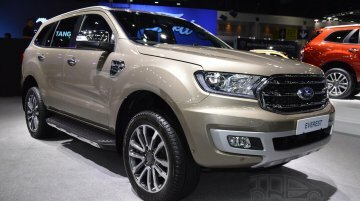 The facelifted Ford Everest (facelifted Ford Endeavour) is now available in its first market - Thailand, which is home to its mother plant. 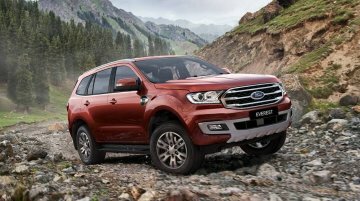 The new model features minor design changes, equipment..
Last month, the 2019 Ford Everest (2019 Ford Endeavour) was officially revealed. This is the SUV's first major update since its unveiling in November 2014. According to a new report from Headlightmag,.. 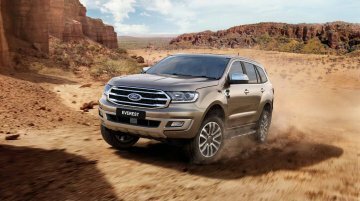 The 2019 Ford Everest (2019 Ford Endeavour) has been officially revealed ahead of its international launch later this year. The mid-cycle refresh has brought a number of mechanical changes, safety.. 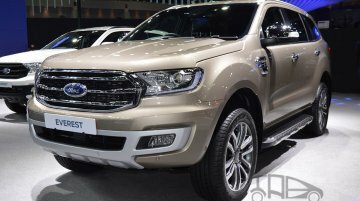 The Ford Endeavor (Ford Everest) will receive a facelift internationally in mid-2018. 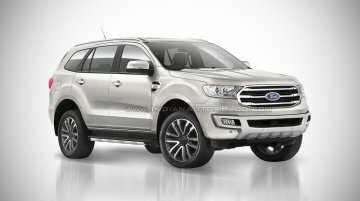 According to a report from Autocar India, the facelifted Ford Endeavour will go on sale in India in early..
Update - Fresh image gallery added showing the facelift in different colours. 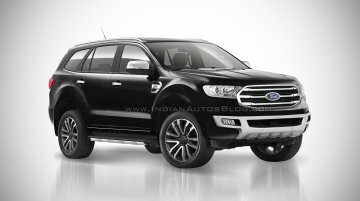 Following the first look at the 2018 Ford Endeavour (2018 Ford Everest), IAB’s rendering artist Shoeb Kalania has..